The U.S. Food and Drug Administration posted on Monday, 12 warning letters and five online advisory letters issued to both foreign and domestic companies that are illegally selling more than 58 products that are falsely linked to treating Alzheimer’s disease. The FDA claims that these companies or advisories sold and advertised products such as dietary supplements, which are unapproved drugs or misbranded that claim to prevent, treat, or even cure Alzheimer’s disease. The products, which are mainly sold on websites and social media platforms, have not been reviewed by the FDA and are not proven safe and effective to treat the diseases and health conditions they are claimed to do. “Science and evidence are the cornerstone of the FDA’s review process and are imperative to demonstrating medical benefit, especially when a product is marketed to treat serious and complex diseases like Alzheimer’s. Alzheimer’s is a challenging disease that, unfortunately, has no cure. Any products making unproven drug claims could mislead consumers to believe that such therapies exist and keep them from accessing therapies that are known to help support the symptoms of the disease, or worse as some fraudulent treatments can cause serious or even fatal injuries. Simply put, health fraud scams prey on vulnerable populations, waste money and often delay proper medical care – and we will continue to take action to protect patients and caregivers from misleading, unproven products,” said FDA Commissioner Scott Gottlieb, M.D. The FDA has issued over 40 warning letters in the past five years to companies illegally marketing over 80 products making Alzheimer’s disease claims on websites, social media and in stores. The Commission has made action in the recent years against companies and dietary supplements making similar claims for the treatment of serious conditions such as cancer and opioid addiction. 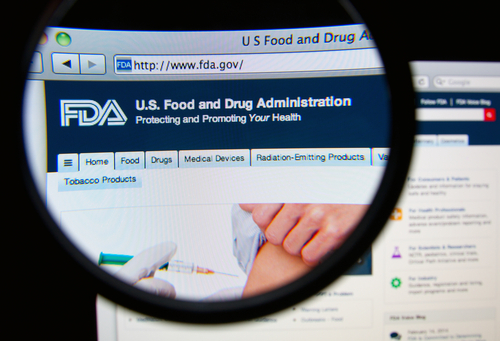 Good for the #FDA for protecting the American public from unscientific claims! Whether it’s supplements or other health treatments, get informed about the evidence that a given treatment works. Personally, i haven’t seen such. I’ve seen *may help with memory loss* but nothing specifically about Alzheimer’s. They also say *this product has not been approved by the FDA” But maybe they’re referring to different ads.